March is a month with 31 days in it – so that makes it a month you can save on ice cream on the 31st! 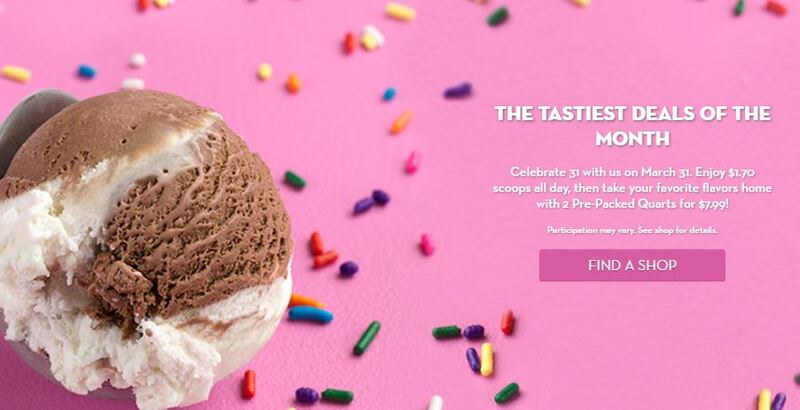 At Baskin-Robbins on March 31, 2019, you can get a single scoop of ice cream for just $1.70. As I mentioned in an earlier post, this is a price increase from the previous $1.50 scoop deal!